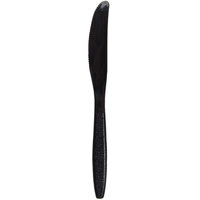 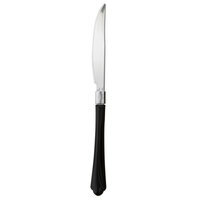 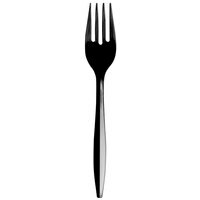 If you’re looking for a plastic flatware option that has a classic appearance, these black plastic utensils are a great choice. 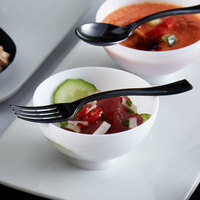 Black looks great with nearly any color scheme, making it perfect for a wide variety of establishments. 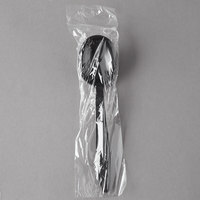 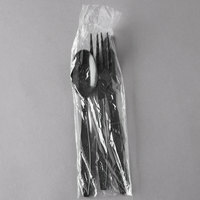 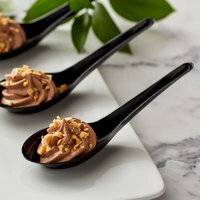 So, whether you need disposable flatware for your take-out operation or are hosting a catered event, black plastic cutlery is an appropriate option. 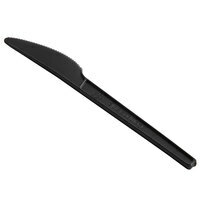 Also make sure to check out other great items from Choice, EcoChoice, Silver Visions, Visions, Eco Products, Fineline and Hoffmaster. 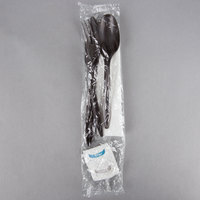 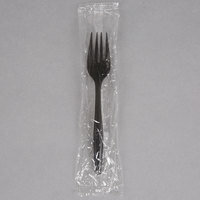 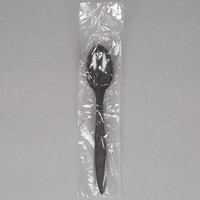 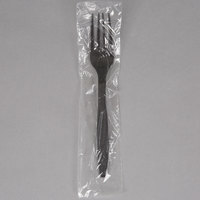 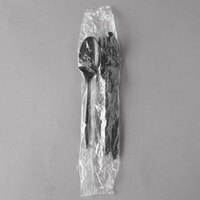 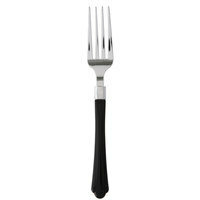 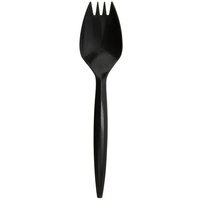 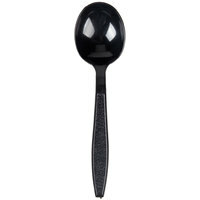 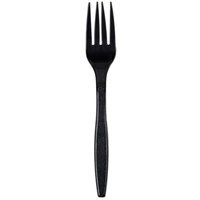 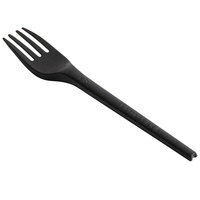 Black plastic utensils are a classic choice for take-out orders or fast-casual dining establishments. 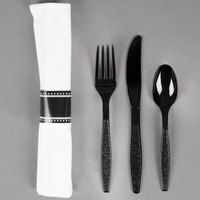 The color of these items looks great with a wide variety of other colors and textures. 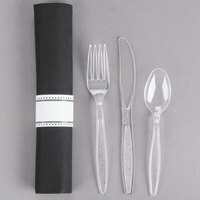 Best of all, these products are available in different styles, so there’s sure to be an option to suit your needs. 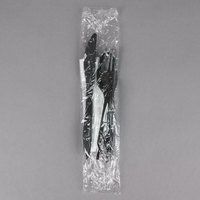 To find related products, check out our straws, microwavable plastic take-out containers, and deli and bakery wrap. 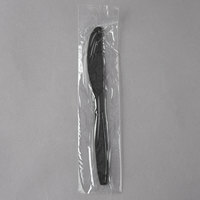 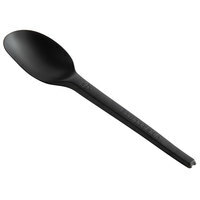 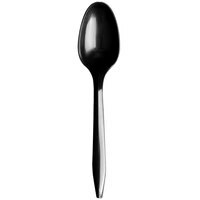 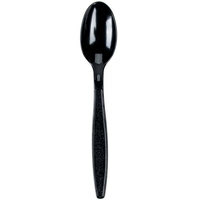 If you're wondering where to buy black plastic utensils, we have a large selection of black plastic utensils for sale at the lowest prices.